Hrudolfensis’ Random Thought: Do the Templars still exist? I’ve been playing alot of “The Secret World” recently and it got me thinking about secret societies. Now let me set this straight. I’m not a conspiricy nut, I don’t believe in any of those insane things about “New World Orders” or Princess Diana being killed by Prince Philip. I don’t believe that. Nor am I one of those people who think that Dan Brown is some amazing wordsmith, I’m one of the intelligent people who knows his work is poorly researched drivel for morons and morons who want to look intelligent. 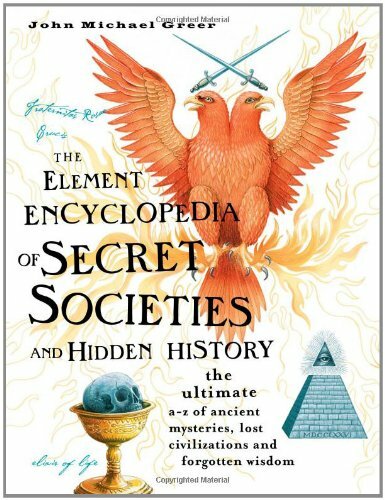 But I have always been intrested in secret societies and secret history. In 1119 nine french knights living in Jerusalem formed a religious order devoted to the protection of pilgrims travelling to Christian holy sites. They took vows of chastity, poverty and so on. King Baldwin II gave them a place to live near the ruins of The Temple of Solomon. And they called themselves the Poor Fellow Soldiers of Christ and the Temple of Solomon, or more commonly The Knights Templars.They remained poor for years until in 1128 Grand Master Hugues de Payens traveled to europe and brough back many donations and new recruits. The Templars grew quickly and with the new found wealth they formed a network of local centres and their own navy to ferry recruits back and forth.The Templars began to redirect their efforts from protecting pilgrims to protecting crusader knights. By 1170 the Templars had nearly 1000 brother knights and a fighting force approaching 10,000 men and with this strength they made up nearly a half of the fighting strength of crusader states and their banner was seen on every battlefield in the Holy Lands throughout the crusades. Although the members of the order made vows of poverty it is pretty obvious that the order had grown quite wealthy. And soon the Templars developed financial systems to transfer funds from europe to the crusader kingdoms though these systems started out just for practicality the Templars soon found other uses for them. This lead the Templars to being the first international bankers in medeval europe if not the world. And as you can imagine this made them even richer. The crusader states fell and despite the third crusade Jerusalem fell to Saladin. The later crusades did nothing more than slow advances and in 1291 the last crusader foothold in Palestine was lost. This robbed military orders such as the Templars of their purpose and though the Teutonic Knights and The Knights Hospitallers found new battles the Templars failed to find a new mission and started instead lobbying european courts for a new crusade. I’m going to stop here but next monday I will continue onto the apparent fall of the Templars and the odd circumstances that may mean that the death of the order was not all it seemed.